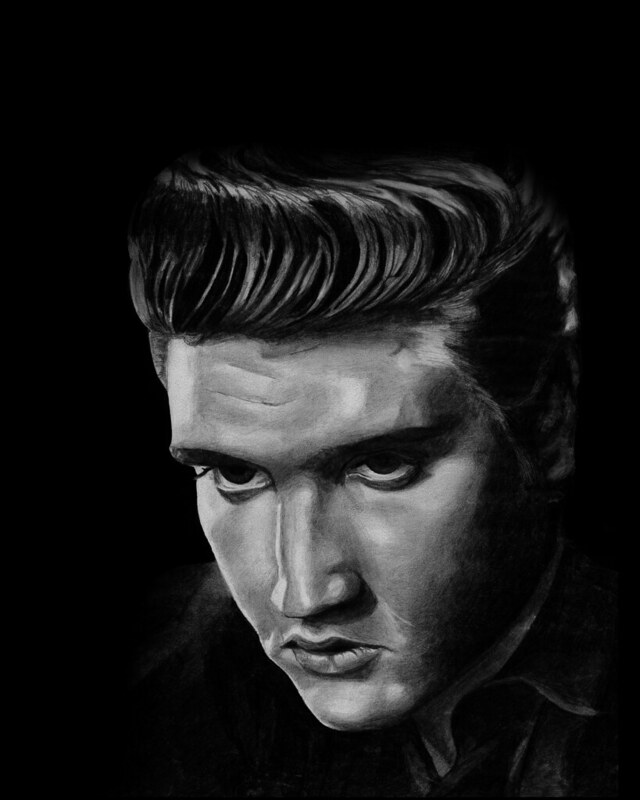 I really enjoyed doing these portraits, especially this Elvis Presley Portrait, something about it was so relaxing and mellow. People often mentioned I should take my skills to the street. A little bit in practical in reality. I have the utmost respect for these street artists, especially the portrait ones who can do them in a fraction of the time I can do mine. As with the Hannibal Lecter Portrait, Elvis was copied from a photograph. In fact, in this case, it was taken from a Best of Elvis compilation double album. Boy, I loved listening to this album when I was in my teen’s, rock on. I loved the pose for this particular cover shot of Elvis Presley’s Portrait, seemed to be the right mix of attitude. I didn’t want anything cheesy, smiley just Elvis gazing off into the distance. Also loved the ‘almost frown’ going on here, and the eye’s just slightly in shadow. Turned out really well, well, I was pleased anyway. As with most of my drawings, I could not tell you how long exactly it took, but many hours, certainly around the 20 hour mark. There has been a slight use of Photoshop in this version. As these were drawn some years ago, the original sheets have become slightly soiled, the odd crease and pencil marks being worn away. Not to mention light fade. So a high resolution scan then some retouching to bring it back to close to how it originally looked before the soft ‘B’ pencil marks were rubbed and faded away. I have really boosted the shadow areas in this version, but the pencil marks in the mid-tones and highlight areas still very much visible.